MGP Windows and Doors is a highly recommended family run company from South Wales that is very proud to have been providing the local community with the very highest quality uPVC Windows & Doors. With a combined total of over 50 years experience within the glazing industry, our team is sure to provide you with a first class service, as that’s our aim. With all of our Windows & Doors we provide a 10 Year Guarantee* giving you peace of mind after the installation. So it goes to show, we really are looking after you! We supply and install the highest energy efficient products, so you can be sure that you’re getting the very best of what is available of the uPVC market today and that’s a promise from us. 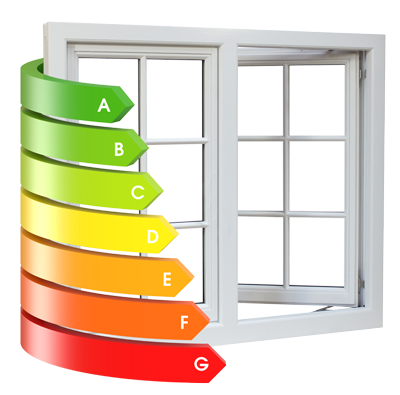 Window energy ratings are a simple, clear and easily understood method of informing customers of the relative energy efficiency of a particular window. The windows are rated on an ‘A’ to ‘C’ scale, which is consistent with other products such as light-bulbs and white goods. An ‘A’ rating signifies the most energy-efficient products, a ‘C’ the least efficient. Our windows can be designed to achieve any rating on the scale, according to your needs and budget. Take a look through our website to give you a better understanding of what we do at MGP Windows and Doors and should you want to get in touch we’d be delighted to hear from you. Showroom: Unit 17 Lamby Workshops, Lamby Way, Rumney, Cardiff, CF3 2EQ. Free parking - no appointment necessary. ♢ Local family run company with a combined total of over 50 years experience within the glazing industry. ♢ Showroom with FREE easy access parking facilities. ♢ Certified Approved Installers of UPVC products. ♢ A full 10 Year Guarantee on ALL of our products. ♢ FREE survey & quotation service with no obligation. ♢ No salesman tactics - guaranteed! Here at MGP Windows & Doors we are always looking at ways to give back into our community, which is why we are the proud sponsors of the TS Cardiff Navy Cadets. MEE Glazed Products Ltd is a registered company in England & Wales. Company registration number 08881330.